With an impressive expertise in military, Scandinavian, and American history, Paul Lockhart, Ph.D., is one of Wright State’s most esteemed historians. Lockhart first joined Wright State in 1989 as a visiting assistant professor of history. Over the course of two decades, Lockhart has climbed the ranks and is currently a tenured professor of history. Since becoming a Wright State faculty member, Lockhart has published numerous scholarly works that have garnered international recognition. 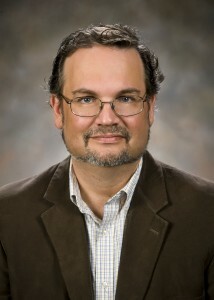 Lockhart has penned six monographs and numerous highly original and influential articles—all of which have made Lockhart and his work an inspiration and a scholarly role model for researchers such as Jason Lavery, a professor at Oklahoma State University and past president of the Society for the Advancement of Scandinavian Study. Lockhart’s current book project is a narrative about American life in the last month of World War I. As Senior Fellow with Wright State’s CELIA, Lockhart has helped to organize “A Long, Long Way: Echoes of the Great War,” a series of events in 2014-15 commemorating the 100th anniversary of the start of World War I. The series’ capstone will be a week-long residency by Dr. Lockhart’s brother, Maestro Keith Lockhart, conductor of the renowned Boston Pops. Dr. Lockhart is also coordinating a major exhibit, “Dayton in the Great War,” scheduled to open at Carillon Historical Park in 2016, and a documentary film on the impact of World War I on the Miami Valley.